I mentioned a few posts ago that my flag fliers pull, which is generally a very clean pull, bunched the flags at MA2. I have been practicing the crap out of it at home, and every pull is as perfect as could be hoped for. We have a team practice this Saturday, and that is something I want to work on as a group. Maybe I am doing something different at competition, or maybe I am just being sloppy. I need eyes on me. I also wonder, if perhaps, the ring crew is not setting the flags properly. I do not intend to shrug the blame from myself for my mistake, but we have had a large portion of inexperienced ring crew at the competitions this year. 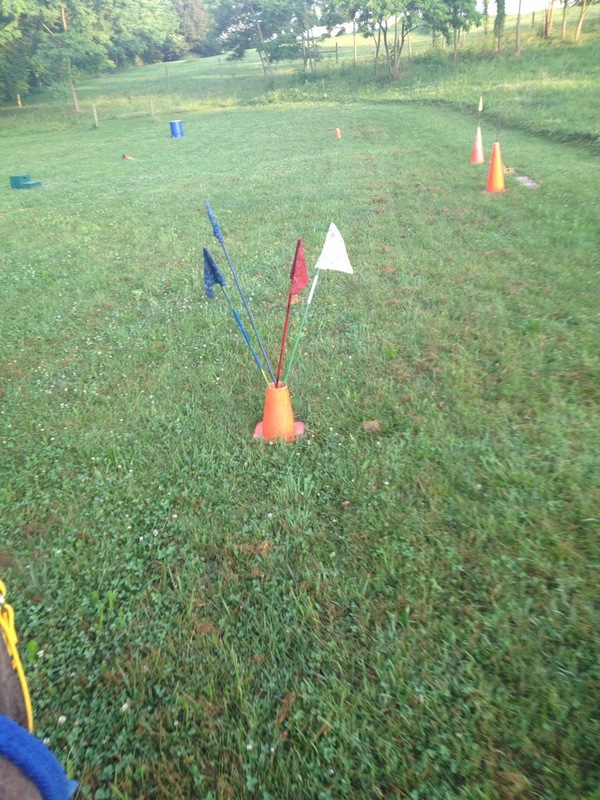 And while I applaud that we have new faces learning the trade, maybe how to set flags is something they are unaware of. That said, I am still going to continue to practice the crap out of this race. I was very off at the last competition, and my usual good skills were lacking. That needs fixing! 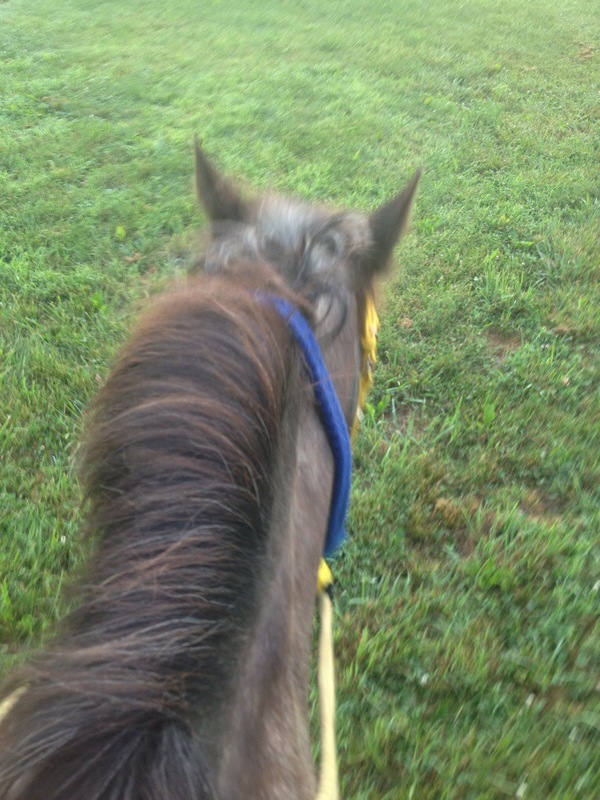 These photos are from an early morning ride before work. what a great view to start the day off with. 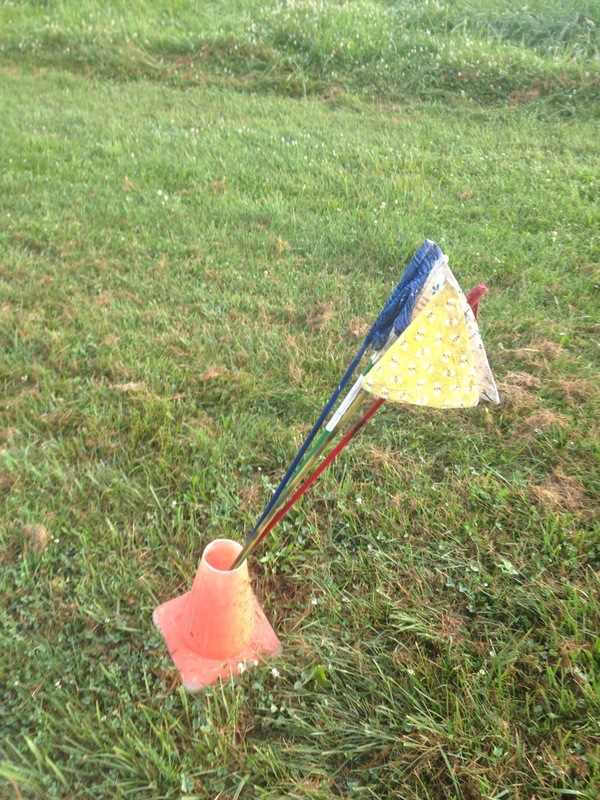 The cone by C line, after I ran the four positions for Flag Fliers, leaving the flags leaning properly away from the turning pony.